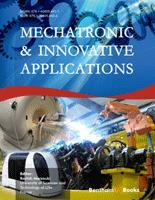 I am honored by the invitation to write a foreword for the eBook entitled Mechatronic and Innovative Applications. Mechatronics is a design discipline that integrates different areas. Originally, it encompassed three areas, namely electronics, computer engineering and mechanical systems, but today it covers multiple and diverse areas in science and engineering. This eBook emphasizes the importance of mechatronics and covers theoretical and practical topics in the design and implementation of advanced mechatronic systems. This project brought together some distinguished researchers in mechatronics. I met and worked closely with some of the contributors to this eBook. This has been through several visits to Ecole Polytechnique de Lille, Ecole Centrale de Lille, and Université d’Evry. I participated as a member of PhD thesis committees and research discussions related to several of the topics covered in this eBook. And therefore, I have had the opportunity to see first hand their research activities. Professor Rochdi Merzouki, the editor and contributor to this eBook, and his colleagues have made great progress in the areas presented in this eBook. The interest in mechatronics has grown tremendously over the years. Many reputable professional societies have launched conferences and Journals on mechatronics. Both industrial and academic institutions have promoted many events on the subject. In addition, there are academic and industrial departments whose main focus is mechatronic technologies and related methodologies. Some universities even grant degrees in this discipline. Today, and more so in the future, progress and innovation are facilitated by disciplines, such as mechatronics, that provide a framework for multi-disciplinary research and development. The eBook covers theoretical and practical topics in the design and implementation of advanced mechatronic systems. It focuses specifically on mechatronics for intelligent and automatic systems. The applications cover vehicles and robotic systems. The themes include vehicle braking, vehicle simulators, electric vehicles, and autonomous and intelligent vehicles. In the area of robotic systems it includes robotic prosthetic hand, robot assisted brachytherapy of prostate, hexapod robots, mobile robots, and robot for finishing operations. Throughout these different complex mechatronic applications, the eBook demonstrates the use of power/energy mathematical modeling method (the Bond Graph modeling method), control systems design and implementation, monitoring and fault detection in addition to sensing and actuation. Thus the strength of the eBook is the integrated design approach taken in the problem solving of each one of the applications considered. It presents the modeling, instrumentation, control system design, simulations and experimentations. I believe that this eBook will be a great resource for graduate students and researchers focusing on the mechatronic areas mentioned above. I have no doubt that the theoretical and practical experiences described herein will convey perception and intuition that will enhance understanding of the subject matter. I am sure that the methods and solutions presented will initiate new research and development aspects that will help advance the general field of mechatronics. Current day, mechatronic systems are designed with synergistic integration of mechanics, electronics and computer technology to produce intelligent devices for the purposes of solving real-world problems. This requires that a mechatronic system must be robust and fault tolerant, i.e. it should have the ability to process incomplete, imprecise or uncertain information. Moreover, such systems often have to work in collaborative environments while being subjected to unknown inputs and yet adhering to strict safety norms. Examples are not restricted to production lines, but extend to extremely safety critical systems such as space and underwater robotics, autonomous transportation systems, aviation systems and medical robots. This theme discusses the fundamentals of designing such systems from the first principles and then how to embed intelligence into them. This is an advanced academic and research theme which has been designed primarily to meet the demands of various postgraduate level courses. A reader already conversant with the basics of mechatronic systems would learn the theory and practice of how to design high end mechatronic systems, starting from modeling to final implementation, in a step-by-step manner. Moreover, this E-book theme presents the recent developments in the design of intelligent mechatronic systems, thereby providing an authoritative support for professionals having basic knowledge in mechatronics. This E-book theme should regroup detailed descriptions of the mathematical models of complex mechatronic systems, which are developed from first principles, i.e., fundamental physical relationships and from a unified multidomains approach like bond graph. This modeling is indispensable for control synthesis and monitoring system design. faulty mode, where a robust monitoring system is designed to detect and isolate various faults from the mechatronic systems. In this case, a tolerant fault control design could be justified. Finally, the global operating and surveillance of complex mechatronic systems should be supervised by an on-line supervision system.